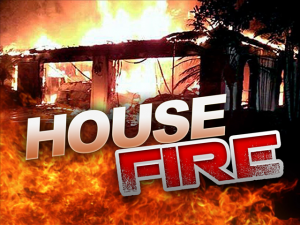 An overnight fire has taken the life of a Franklin County man. Crews were called out around 4:15 am to a building housing six apartments along Route 122 between Rocky Mount and Burnt Chimney. Officials says arriving firefighters were told one man had gone back in and had not returned. He is identified as 70-year-old Donald Ledbetter, Sr. of Rocky Mount. There is no word yet on the cause of the fire. News Release: Franklin County, VA – On April 13, 2018 at approximately 4:15 AM the Franklin County Sheriff’s Office Emergency Communications Center received a 9-1-1 call in reference to a structure fire in the 3800 block of Booker T Washington Hwy. The structure located at that address is a residential house that has been converted in to six studio type apartments. Deputies as well as Franklin County Department of Public Safety Fire and EMS crews arrived shortly to find the structure filled with smoke and flames. Deputies on scene were notified by residents that everyone was out of the structure except for one male who had gone back into the residence. Because of the smoke and flames, rescue personnel were unable to reach the remaining male. The victim has been identified as 70 year old Donald Ledbetter Sr. of Rocky Mount, VA. The body has been sent to the forensic lab in Roanoke, VA. This is an ongoing investigation.